Somalilanders love to oppose, oppose anyone and anything, and that is fine. But, opposing for the sake of opposing is just ridiculous. I am not apologist for nor a member of the administration of President Muse Bihi Abdi, but you have to give credit where credit is due. Certainly, there are issues that we need to resolve in Somaliland, and first and foremost is to hold the scheduled parliamentary and local elections councils in December, 2019. This is something we must do for the sake of the country. It has to be done, and the administration and Somaliland political parties are dragging their feet. They should be called out on this, and rightly so. But, one thing President Muse Bihi Abdi has brought to the Somaliland political arena, is strength of purpose and will, and no nonsense attitude. After eight years of malaise and endemic corruption in the last administration of President Ahmed Mohamed Mohamud “Silaanyo”, it is refreshing to have a president who is on top of things and is running the administration. No chef-de-cabinet or kitchen cabinet for this President. Somalilanders can rest assured that our enemies will not be so foolhardy as to try his fortitude. With regard to the Berbera project, this administration inherited the project from the previous administration. Of course, President Muse Bihi Abdi was among those who took part in the discussions with DP World, but the final decision was not his. But, in all fairness, can anyone say that there has not been considerable improvement in the operations at the port? New equipment, new facilities, the improvement of staff training and safety, etc. etc. Rome was not built in a day, and the Berbera project will take sometime to reach its full potential. Do we want to be like Djibouti and be saddled with a half a billion dollars judgement around our necks? No, I don’t think so . 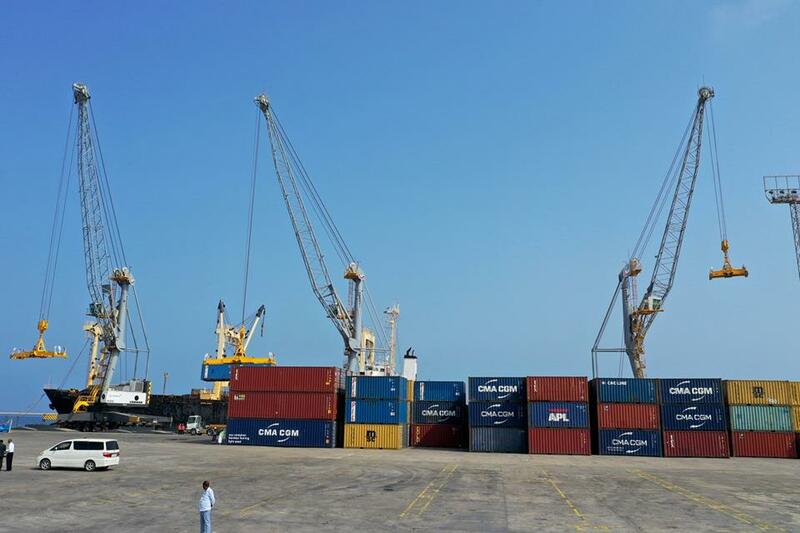 We need to remain patient, and see the new Berbera port and corridor in action. Berbera is part of the Somaliland national assets, just like our roads, schools, hospitals, etc, they belong to all of us, not to just any particular community. We have to stop thinking like that. We are an inclusive society, and not an exclusive one. We are Somalilanders and also members of communities. The two are not mutually exclusive. Somalilanders have every right to hold their leaders and government accountable, and to criticize the flaws and highlight the weaknesses, but we must also suggests the answers and the way forward. Criticizing just for the sake of criticizing and point scoring will get us nowhere. And we have not come this far without our own unique formula of dialogue, discussion and consensus. Yesterday, the President inaugurated three new mobile cranes worth over $12 Million dollars in Berbera, three cranes that we didn’t have the day before, that we needed, that help the port operations, that will contribute to the economy of the country and all you hear from the critics is, “Is that all?” Well, the answer is no, there is more to come, Insha’Allah. Let us be patient.